Condos Cancelled! How to AVOID the Bad Apples! Recently, there is has been a series of captivating publicity battles that builders have been going through. We focused on Mattamy’s freehold subdivision last week (if you missed it you can read it by clicking here), but this week, we will shift our attention to Liberty Development’s cancellation of Cosmos Condos and how buyers could have avoided this pitfall. The One That Got Away – The impact of the Cosmos development has gotten a lot of people worried about other potential project cancellations. According to The Altus Group, since January 2017, there have been a total of 17 projects cancelled in the GTA, totalling 3,627 units to date. However, none were as alarming as Liberty Development’s Cosmos, which cancelled approximately 1,100 units across the 3 towers. All of these cancellations are unfortunate for the buyers involved because they thought they had bought something for a great price a few years ago. Now with this cancellation, their deposits are being returned and they lost the investment opportunity they once had. As the market has gone way up in the last year, some of these buyers have been potentially priced out of the market now. 1) Liberty Group got greedy as they sold this project at $600 per square foot and now Vaughan has reached almost $900 per square foot with the subway opening in December. 2) Hard cost (materials and labour) and soft costs (permits and interest) have gone up significantly, making builder profits very slim or even in a loss position. 3) The City has not been cooperative with the permits and holding the land has been expensive. In recent Insight Articles, I have been talking about the increasing costs to build. This is a real challenge as labour cost has increased significantly in the last few years and the demand for construction works has outpaced the supply. The usual profit margin for a condo for the builder is about 15% (yes, it’s not as high as you think it is), so if construction costs have gone up dramatically, development charges have doubled, and permit processing has slowed down in the last few years, then there really isn’t that much room for profits given the amount of risk taken on by the developer. Keep Calm and Condo On – Hang on a second though, everybody keeps focusing in on the negatives because this is what grabs attention like no tomorrow. However, when you look on the flip side, a much different story can be told. As usual, the media tends to focus on the negative news. Viewers beware! 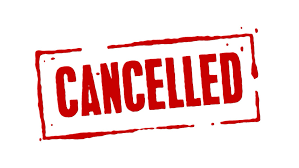 Condo cancellations are anything but the norm – they are the exceptions and the bad apples of the bunch that tend to give everything else a bad rep. Currently, there are approximately 420 condo projects in total, which includes projects that are selling, sold out, and under construction. Out of the 420 condo developments in the pipeline right now, this year, there have only been 4 cancelled projects – this is less than 1%. When this statistic is brought to light, it hardly seems like a problem at all. If you extrapolate historic trends, then only a small number of condo projects will be cancelled moving forward. Back to Basics – In fact, any cancellation of large projects will put immense pressure on the supply and this would in turn only work towards further pushing up the prices. I spoke to an individual last week looking for a pre-construction condo to live in who was part of the fallout from Cosmos. They are back in the market now because they ultimately need a home to live in. From an investment perspective, when I hear that supply is tight, it tells me that there will be high demand for pre-construction condos, whether it is for rental or for sale upon project completion. An asset that you have in high demand usually signifies growth! At the end of the day, there will always be pressure on the supply until we see an actual increase in supply. We are not building enough housing for the sheer demand that we have, and this is before factoring in our massive projected immigration growth. So how do we protect ourselves and AVOID picking the bad apples? 1) The first thing we want to do is make sure that we buy from a reputable builder, especially one who has a longstanding history of completing projects. 2) We want to make sure the builder has gotten their permits or at least in the process of getting them. Newer builders have a harder time obtaining permits to build from the City, especially after the recent changes to the Ontario Municipal Board (OMB). 3) Make sure the builder is registered with Tarion, who provides new home warranty protection to more than two million Ontario homes. They serve new home buyers and new home owners by ensuring that one of their life’s biggest investments is protected. 4) Do your best to avoid buying from local “start-up” builders who does not have any reputation in the market. Most of the cancelled projects have come from builders who were either very new to the game or very small businesses. The Wrap – At the end of the day, any worthwhile investment has some aspect of risk associated with it. It’s always best to do your own due diligence on the builder and the project, make sure that you understand the risks involved, and cap the downside with the 4 suggestions above. All of the condo investment projects that we recommend to our clients have been vetted by us. We only approve of the very best investment projects out there. As mentioned before, there are currently 420 projects, but we have only recommended a small handful out of this bunch. We personally hand-pick the best of the best, for you to live well and invest well.